Castile soap base is one of the mildest soaps manufactured. Safe for your hands, body, delicates laundry, household cleaning and the environment. It is mild and wonderful for shampooing and showering. Gentle for the babies, sensitive and elderly skin too. Some ingredients will cause an inherent odor. 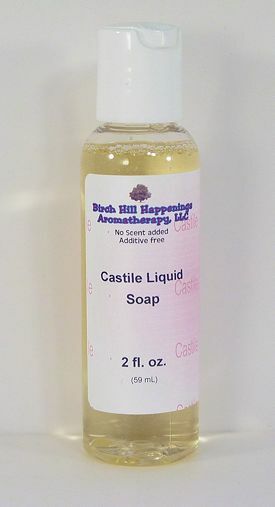 To add essential oils to the Castile Liquid Soap the guidelines suggest adding 8-10 drops per ounce of product. This a wonderful cleanser for very dry sensitive skin since it is unscented and made from organic oils. Unlike many hand wash products, this feels very moisturizing and not irritating at all. I don't feel like I'm stripping all of the oil from my skin. Great product. Thank you! !